The Gallery of Populists show the presidents, prime ministers, dominant, authoritarian, Nationalist leaders of Brazil, the Philippines, USA, Russia, Italy, Hungary, India, Turkey and Venezuela. 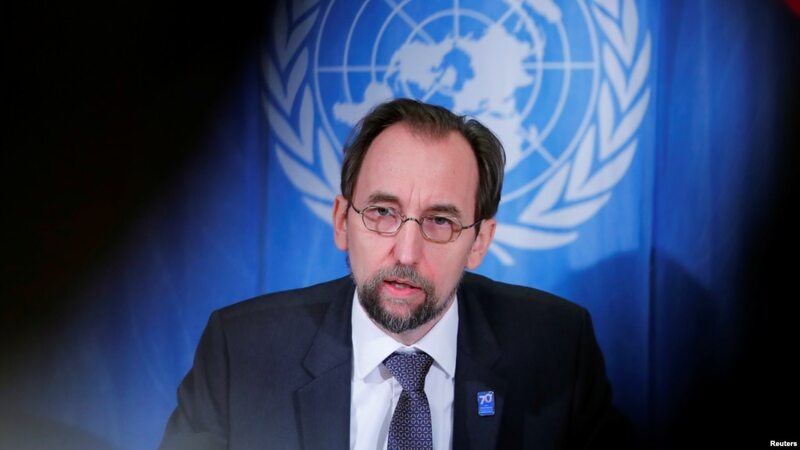 THE HAGUE / GENEVA (5 September 2016) – In a hard-hitting speech in the Hague on Monday, UN human rights chief Zeid Ra’ad Al Hussein called for action to confront European and U.S. demagogues who blend a fictional halcyon past with a classic propagandist mix of half truths and oversimplification, resulting in “the banalization of bigotry” and an atmosphere thick with hate that may descend into violence. Populists use half-truths and oversimplification — the two scalpels of the arch propagandist, and here the internet and social media are a perfect rail for them, by reducing thought into the smallest packages: sound-bites; tweets. Paint half a picture in the mind of an anxious individual, exposed as they may be to economic hardship and through the media to the horrors of terrorism. Prop this picture up by some half-truth here and there and allow the natural prejudice of people to fill in the rest. Add drama, emphasizing it’s all the fault of a clear-cut group, so the speakers lobbing this verbal artillery, and their followers, can feel somehow blameless. Make no mistake, I certainly do not equate the actions of nationalist demagogues with those of Da’esh, which are monstrous, sickening; Da’esh must be brought to justice. But in its mode of communication, its use of half-truths and oversimplification, the propaganda of Da’esh uses tactics similar to those of the populists. And both sides of this equation benefit from each other – indeed would not expand in influence without each others’ actions. 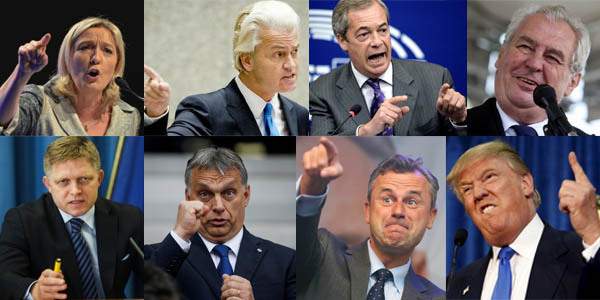 The humiliating racial and religious prejudice fanned by the likes of Mr. Wilders has become in some countries municipal or even national policy. We hear of accelerating discrimination in workplaces. Children are being shamed and shunned for their ethnic and religious origins – whatever their passports, they are told they are not “really” European, not “really” French, or British, or Hungarian. Entire communities are being smeared with suspicion of collusion with terrorists. I should be glad they don't list Polish leaders, probably since both of them are more of the figure heads of Kaczynski.